Hi. How I can see my rank in Pc? what is the basic level? very helpful thx for ur information. I don’t want one either because that would just ruin the game. Having a dragon that can just beat everything takes all the challenge and excitement and accomplishment out of strategizing, planning and battling. I don’t have a high fenrir dragon and I used to think they messed up the game by making it unfair. Now that I’ve found ways of beating them I see them as a challenge. Could somone please help. I know VR stands for Very Rare & the R stands for Rare what does the E stand for? I like it more when whole dragons are shown :/ than heads only. Could you please make a dragon search page. I want to be able to select multiple elements and get results of all dragons having those elements. You use this type of search already in the “find what dragons to use to fight this dragon” section. I am just looking to have it be a page that I can select the elements to include for myself. Having rarity also selectable would be a big plus. The main reason I need it is for the colesium that requires specific elements for certain fights. I can’t always remember what my dragons have for elements but I can generally remember what dragons I have already. This would help me find a good dragon to put food in so it meets the requirements. You might alternately add to the colesium fights a button that says find dragon that meet the requirements and would do the search. any body know how get 100 gems?? Joseph, this guide is incredible, Thank you for all the work you have and do put into it. do you know the calculations for levels and stars? But category 5 is better than 6 in hp and attack?! So why ?! Since Facebook doesn’t have a clear indicator of who wants friend requests or not (on here), then sometimes, it offends people who send a friend requests, but since I’m friendly, and enjoy playing Dragon City, (and other games), I welcome friend requests, or even just someone who wants to be a friend. I lived in Europe and around the world, so it’s nice to meet new people. Thanks! @Ruben Neg Aza, please note, that you posted on here that you need some friends that play this to get more xp and stuff (in comments below), therefore, I thought you wanted more friends as indicated, but when I clicked to send you a friend requests, a message came up saying that only people who actually know you can send you a friend request, therefore, I wasn’t aware of this, so you can ignore my friend request, if you want. It’s your decision. Thanks! Check this what I found! Dragongen.com They giveaway free gems!!!!!! Can someone Please tell me what the “ATK” and “HP” means in the above category – but points list?? I think HP is hitpoints…… please and thank you for your time!!!! it can critical 9 element ! They should put the sackman dragon as category 9. So its like category 8 is better calculating the sum of hit points and attack points it is way better…. Hmm…these are the values without the star boost, right? I got my Iron Dragon and it is cool and all but I am a bit disappointed by its low HP and not so fantastic abilities… come on IT’S IRONMAN! TANK MISSILE! hey anyone know if using only category 4’s (double electric, double terra and double flame)that have reached their highest skills is able to beat 2 pures and a cerberus? or do i need higher category dragons? Okay , i got all 4 elements dragon. Breeding sanctuary LvL 7. ALL COMBINATION! Why all the Elementals are category one but War is category four? And how to breed Apocalypse,Abyss,Millennium,Promethium and Forge? I got Supersonic and Mirage in Throne Island. and in wich category pearl dragon? i didnt find it in list. What does it mean when the dragons have a pink heart or a purple clock? Can anyone pls tell me why Droconos and Nirobi are in the category 4 while the others Legend are in the category 5? This mean Droconos and Nirobi are weaker and cant beat the others Legend with same lv and star? Pls answer,thanks. Hi Joseph, what is the difference between the breeding mountain 1 and 2 as well as between the ultra tree before and after you update it ? Not seeing Dreamcatcher, Illusion, Prophet, Underworld in any of the categories. Did I miss them? joseph seeley please help, when i go to breed archangel he is holding a key and then a gate with a lock on it and pyramid with a eye in the center, why is this? O ok. Thanks. I looked around on google, and there was a dragon with the name. Black fier dragon. Do the black fier dragon exists? That’s the one. Atlantean dragons. Why is this? Why is it that dragons are breed bill one moment, then the next it’s not? Paladin dragon is category 3! Can we level up our dragons?.. Magnet Dragon is not on the Dragon Book ? i bred it already and fed it up to lvl 7, but it doesnt appear on the Dragon Book, Any one knows why it is not included? Donde esta el Dark Angel Dragon ? Why is this the ONLY page on Dragoncityguide.net that opens?? Where is the Sad Dragon??? Joseph–Sorry to bother you–but could you tell me where Hellgate was offered? 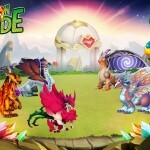 Was a mobile special purchase or a PC special purchase–Was it the goal dragon of a Quest? So many seem to have them or talk about them being in their Hatchery. Add me for Dragon City? 🙂 It’ll help tons!!! So pures are strong and lack criticals. But legendaries are all critical against one another. Seems pures are better. Am i missing something? need to add people on facebook to be able to expand my islands. if any1 is interested? ok so its time for the game techs to give us another island and allow us to get more habitats cause 44 habits even with the dragonarium there is now way any one can get 1 of every dragon guess I will have to start dropping dragons out of the world as I get I guess you would consider them the more advanced dragons by the way any one know who many dragons are not breedable ? Ada Yang Punya Cit Nya Gak? How do I know the Hit Points of my Dragons? Do you have a place I can put in my Dragon, its level, and what stars it has? Thanks for the list! When was it last updated? Why are legendary dragons so rare? They don’t offer higher HP than pure dragons, and unlike the pure they have a 2x damage weakness (ironically from other legendary dragons). do hp’s hav conection to stars? It would be really awesome if we could add a ‘*’ or something to indicate which of these dragons are breedible. 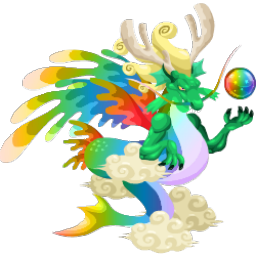 If there’s a good list of which dragons are breedible on the site (without loading each dragon individually), where would I find that? nice one !!! thanx for this page !! On this page next to or below the dragon names can you add the elements? That would be helpful when looking for certain types, like those with 3 elements. Awesome job! For those that don’t know, CLICK the dragons to see their trained attacks and their attack power! You can easily compare dragons this way. Great job Joseph. So how exacually do dragons earn stars? Can anyone help? Quibble: When the name of the dragon is more than one word, the image and stats do not load directly when clicked here, but load fine when picked from the list. Just a Idea for the site, but maybe have a few small mini guides with tips and hints at doing different things, like How the Black Market works, How the Market Works on getting more food, etc. I know it took me a little while to figure out some stuff in the game, and wasted a lot of time trying to figure it out on my own, cause I could not find anything to help online.